This Common Tern was feeding in Falmouth harbour, Cornwall at the beginning of the week. This is our first sighting of one in the harbour this year and we guess it was forced into the sheltered waters following Sunday’s strong winds. The tern we most commonly see locally is the Sandwich Tern (Sterna sandvicensis). 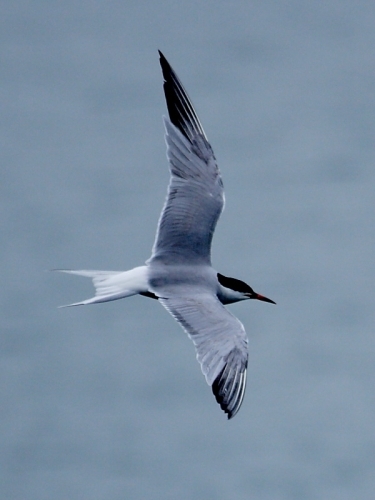 Insight into Common Tern (Sterna hirundo): a common summer migrant to most of the UK from its wintering quarters in West and South Africa, it is scarcer in the south west with most birds being seen on passage during spring and late summer.